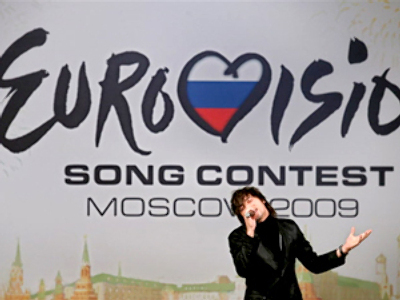 Moscow has been chosen as the host city for the 2009 Eurovision song contest. Several Russian cities fought for the privilege, but the government has decided it will be cheaper to hold it in the capital. “We will hold the Eurovision song contest in Moscow,” Prime Minister Putin said at a meeting of the Russian cabinet. Deputy Prime Minister Alexander Zhukov was charged with preparing the event. Moscow’s Olympic stadium, capable of holding 25,000 spectators is the likely arena to stage the contest next year. This is the first time in its 50-year history that Eurovision will come to Russia, thanks to Dima Bilan and his song called ‘Believe’.